Most from the Chlorine Free Pools in Illinois present both open lanes for independent swimming and also guided activities like water aerobics or aquabike. We currently have the following Swimming Pools, but we are consistently grateful for any corrections or contributions. Get in touch via our contact form. 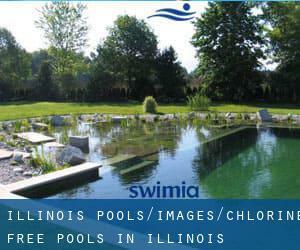 Thanks to some new Chlorine Free Pools in Illinois submitted daily, Swimia.com is growing everyday the number of stored pools. Please don't hesitate to contact us when you come across any inaccurate or incomplete information. If you are visiting Illinois be sure you know the rules and regulation for swimming as they may not be the same as in your home town. Please, use the get in touch with information and facts supplied at each pool profile. The most beneficial pools to swim are certainly indoor olympic pools. Let us let you know a secret to switch off when you will be in Chicago: just select a Swimming Pool in Chicago and plunge into the water! There's no extra efficient method. It's difficult to visit Illinois without dropping by Aurora (with 197.899 residents). Currently Swimia is showing you all the Swimming Pool in Aurora and the closest pools located in its vicinity. Swimming is actually a terrific idea to help keep your body active during your visit to Rockford (Illinois), or perhaps when you are a local. Swimia assists you to discover your closest Pool in Rockford. Updated on 2019 108 East Superior Street at North Michigan Avenue , Chicago , IL , USA (Postal Code: 60611). This sports center gives 25 meters x ~20 feet, 3 marked lanes, 4 feet uniform depth, Non-Chlorine Sanitized, Indoors. For this Pool, only phone number is number here. 355 East Grand Avenue , Chicago , IL , USA (Postal Code: 60611). This sports center gives 25 meters, 3 lanes, Non-Chlorine Sanitized, Indoors. For this Swimming Pool, only phone number is number here.